We’ve just added 16 large ensemble titles to the SmartMusic repertoire library. Included are pieces for choir, band, string orchestra, and full orchestra. See the complete list here. As important as large ensemble titles are, they are just the tip of the iceberg of what’s new in the SmartMusic library this month. Read on for the full details. Our featured addition for November is Solo Songs for Young Singers by Andy Beck. This excellent collection was designed with your younger students in mind. Finding solos that fit young singers’ voices can be tricky. Andy Beck has created these lovely, engaging tunes with an understanding of the needs of developing singers. He has carefully limited ranges and incorporated rhythms that teach students rhythmic independence without challenging them beyond their abilities. Each accompaniment is supportive of the melody, but helps young singers learn melodic independence, too. Beyond their instructional value, these are songs student love to sing. They offer a range of expression, from fun and exciting to sweet and heartfelt, with texts that allow your young musicians’ artistic side to blossom. Whether your students are preparing for a recital or a competition, like solo and ensemble, titles from Solo Songs for Young Singers are an excellent choice. Also added to the SmartMusic repertory library this month is Celebrated Method for the Clarinet by Hyacinthe Klosé. 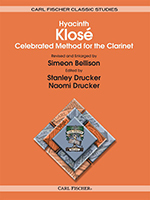 Often referred to simply as KLOSÉ, this is the classic clarinet book, and something every serious clarinetist owns. 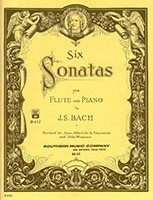 For flute students, we’ve added this important collection of six of Bach’s most widely performed sonatas. 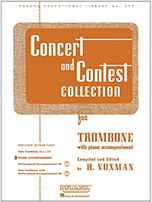 The Rubank Concert and Contest Collection is a standard, immediately recognized by students and educators alike. Now it’s in SmartMusic, too. 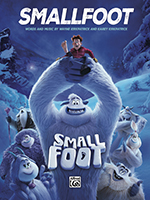 Also new for November are some fun movie and television titles, including the love theme from Crazy Rich Asians, the main title theme from The Big Bang Theory, and the songs Perfection, Wonderful Life, and Moment of Truth from the hit movie Smallfoot. These and other current titles can help encourage home practice and are perfect for assignments where students are asked to perform for family and friends during the holiday season. While we are constantly working to license new content for the SmartMusic repertoire library, agreements on existing titles occasionally expire without being renewed, just like movies on Netflix. Such is the case with Manhattan Beach Music titles, including popular pieces by Frank Ticheli. After December 18, 2018, you will no longer find Manhattan Beach titles when searching the SmartMusic library. Assignments made using these titles, however, will continue to function until February 3, 2019. Be sure to complete grading of assignments using these titles before that date. Are there particular pieces – from any composer – you’d like to see added to SmartMusic? Please let us know. SmartMusic has never been more affordable. Learn how inexpensively you can share SmartMusic with all your students. Get a quote.